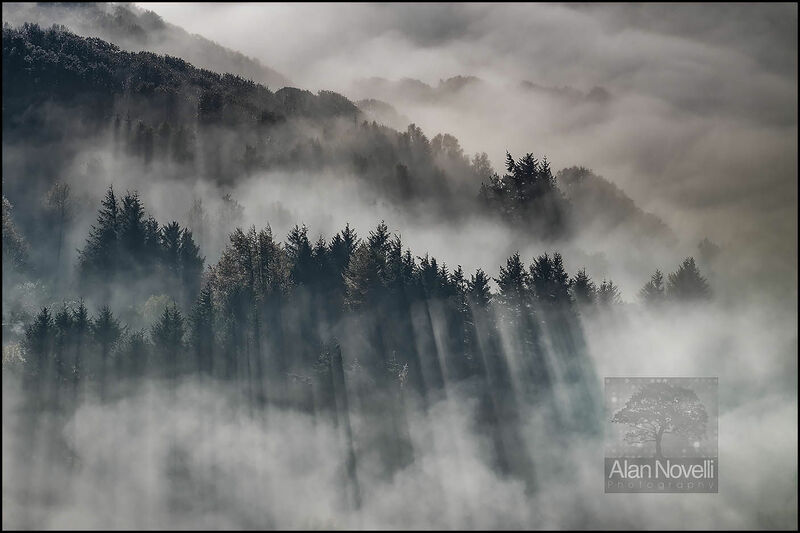 As dawn breaks over the Gwydir Forest, crepuscular rays pierce the fog banks encasing this ancient forest in a stunning display of Mother Nature's natural beauty at her very best. I watched this display for over an hour whilst the fog ebbed and flowed in the valley below. What a privilege to be there!